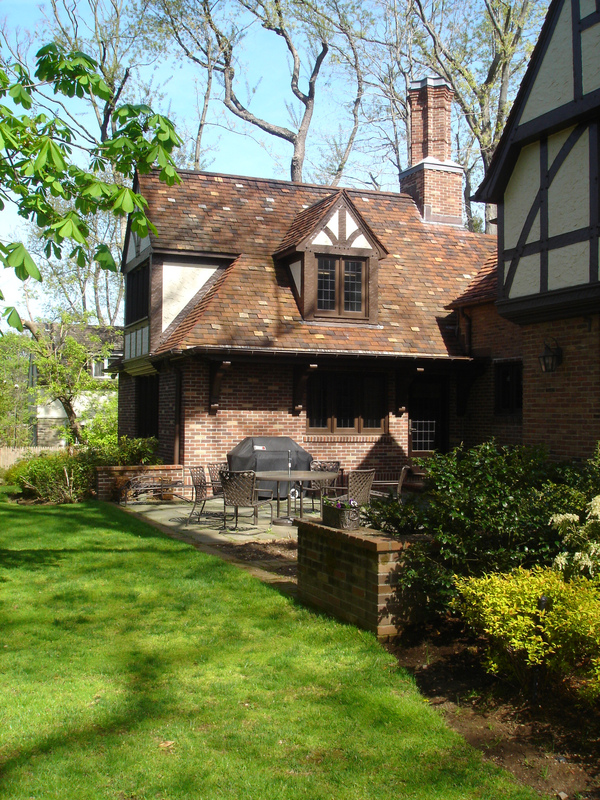 The project involves the addition of a Family Room and Mudroom to a 1928 Tudor. 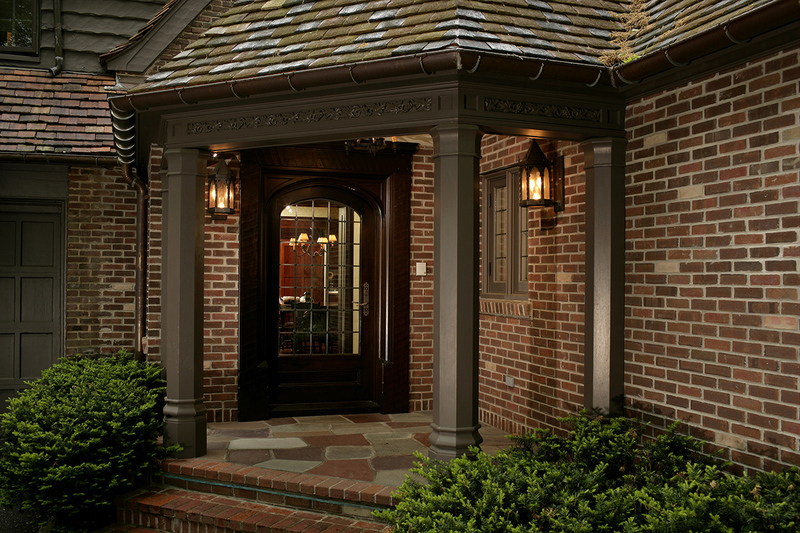 Situated at the back of the house and adjacent to the kitchen, the addition was designed to provide a visual connection between the kitchen and family room, as well as create a convenient family entry sequence from the driveway. 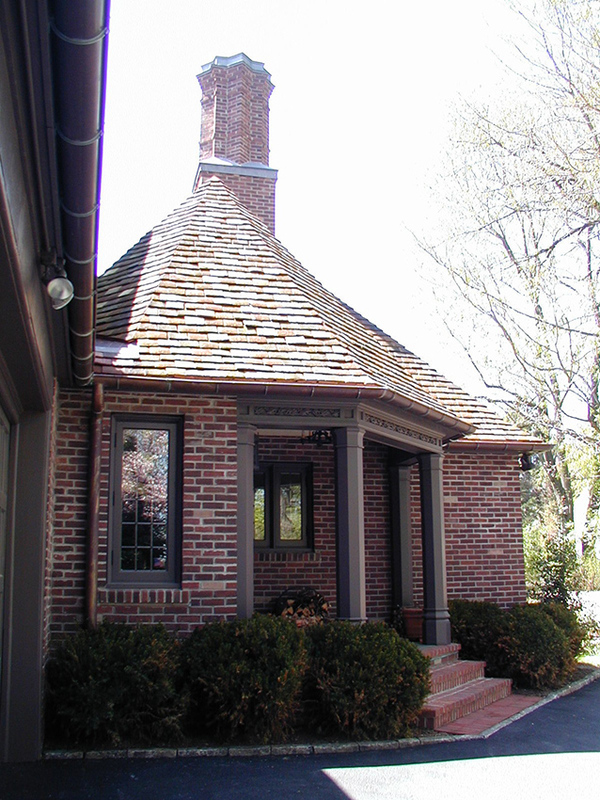 Exterior materials of brick, stucco and half-timber, clay tile roofing, along with chimney details and carved wood trim, are replicated from the existing house. 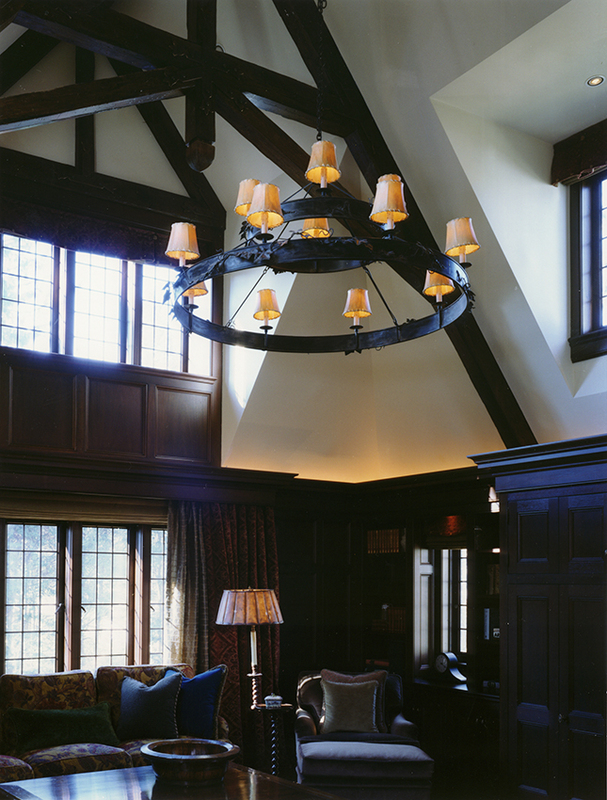 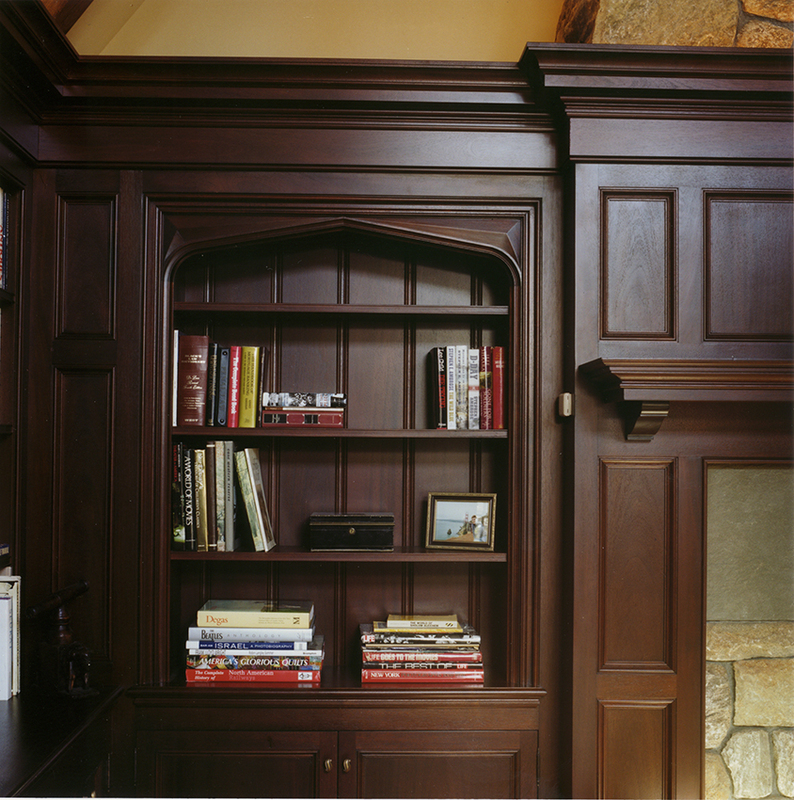 The cathedral ceiling of the family room is supported by hand hewn oak timbers fastened with hammered black iron straps. 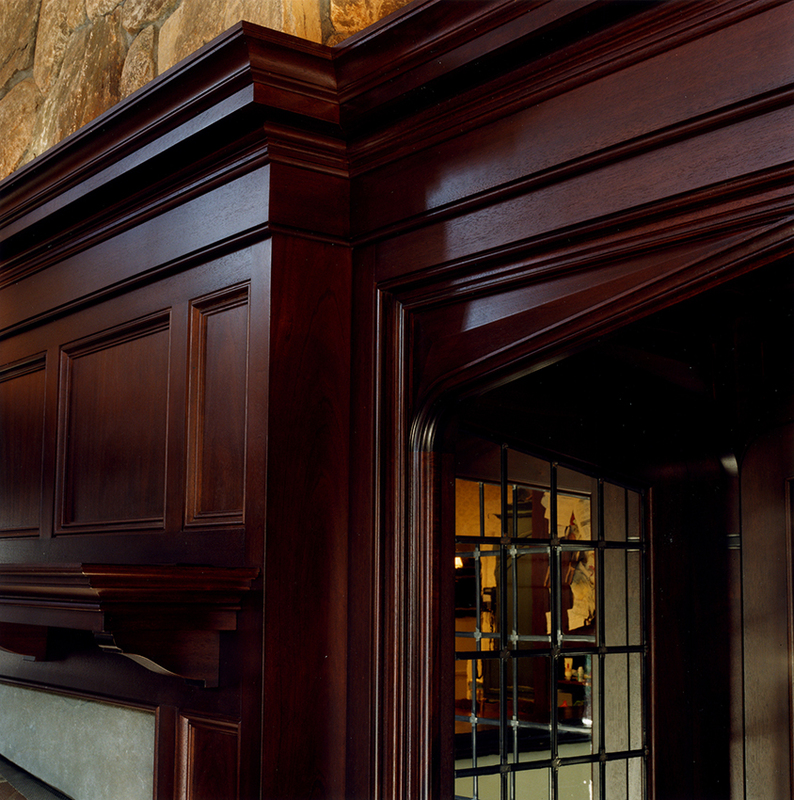 Mahogany paneling and built-in cabinetry line the perimeter of the room, and a fieldstone fireplace provides the centerpiece to the room.